Christmas is barreling down the tracks faster than who knows what, and with it, comes some holiday cheer. 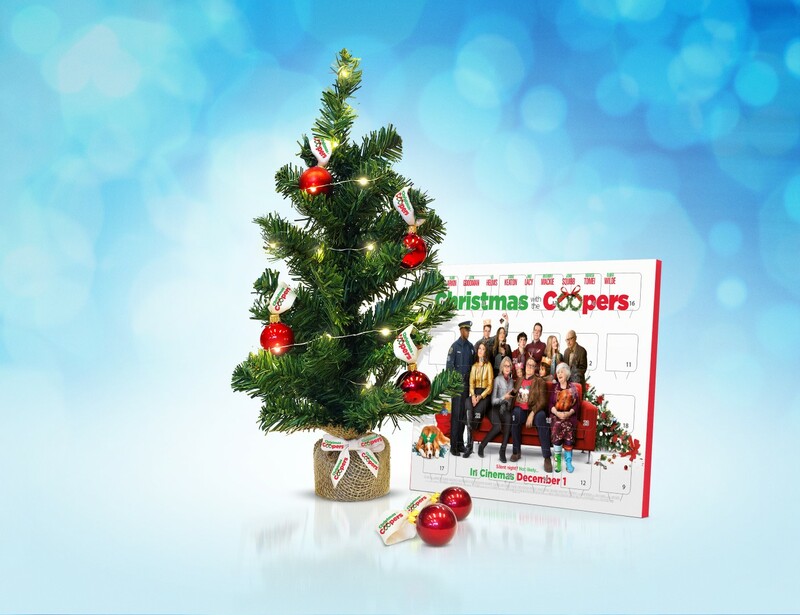 To celebrate Christmas with The Coopers arriving in cinemas on December 1st, we've got some epic movie merchandise to giveaway. Simply fill in your details below and keep an eye out for the postman! It’s the festive season in the Cooper household and Charlotte Cooper (Diane Keaton) has one simple wish...for her family to have the perfect Christmas. But four generations of the Cooper clan gathering under the same roof is anything but perfect. John Goodman (Trumbo), Olivia Wilde (Rush), Jake Lacy (Girls, Carol), Ed Helms (The Hangover), Marisa Tomei (Trainwreck), Anthony Mackie (Avengers), Amanda Seyfried (Les Miserables), Alan Arkin (Argo) and June Squibb (Nebraska) lead an all-star cast in this unforgettable yuletide comedy. Spending Christmas with the Coopers will never be a silent night.